is that a radio transmitted glued to its back? It is a transmitter for tracking. 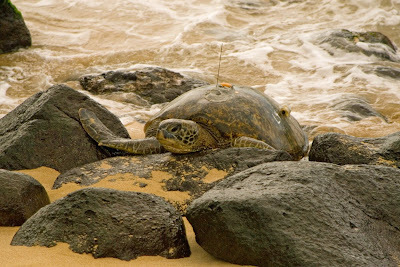 Here's a link to find out more about what is happening to these turtles on Oahu.